This week it’s the London Book Fair, where many new picture books are unveiled. That’s wonderful. However, I'm in a retrospective mood because I've been moving old books out of the reach of my dog’s hungry jaws (unfortunately, ancient horse glue is yummy). I've even been debating throwing out some old books. For me, it’s the memories trapped in old picture books that are important. I think that books are like photographs – we often forget the past until we see photographs or 'important' books. They’re a catalyst for memories. So why not keep the first three books? Being a bit of a hoarder I suspect I will leave them on the shelf, but I have no emotional attachment to them. 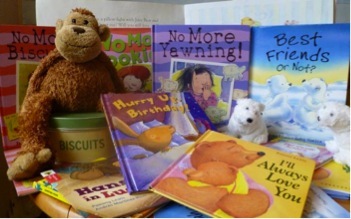 They evoke no memories and I feel uncomfortable with the Teddy Bear Picture Book (for obvious reasons). 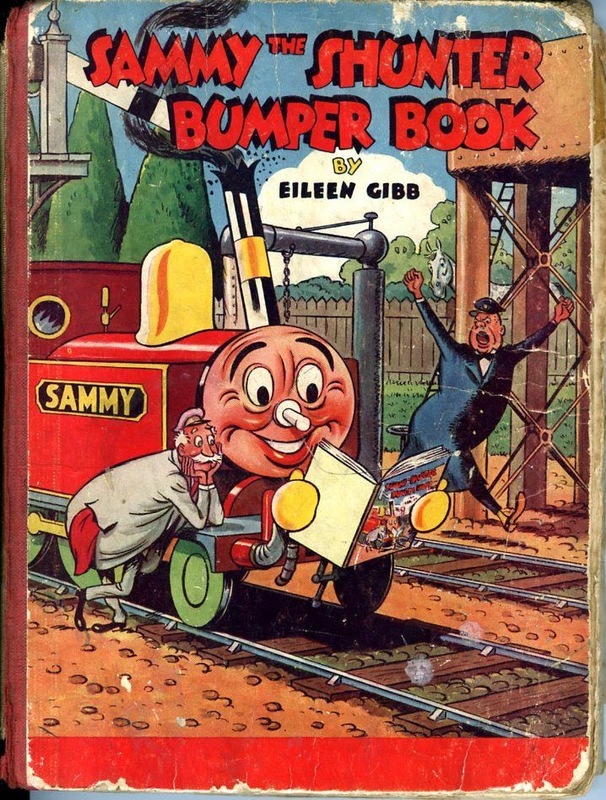 By the way, I've just noticed all three unwanted books include trains, so I can’t have been a big fan of engines! Instead, I prefer to keep slightly embarrassing books like The Party. Good grief, what’s wrong with me?! Nowadays people mock these ‘Susan and John’ Ladybird books. Ho hum, at the time I adored this book. There were party dresses, cake, games and shiny patent leather shoes (or in my case, shiny plastic party shoes that quickly became too small). Going to a party was EXCITING! I liked looking at the pictures and on many pages I tried writing letters (and failed). 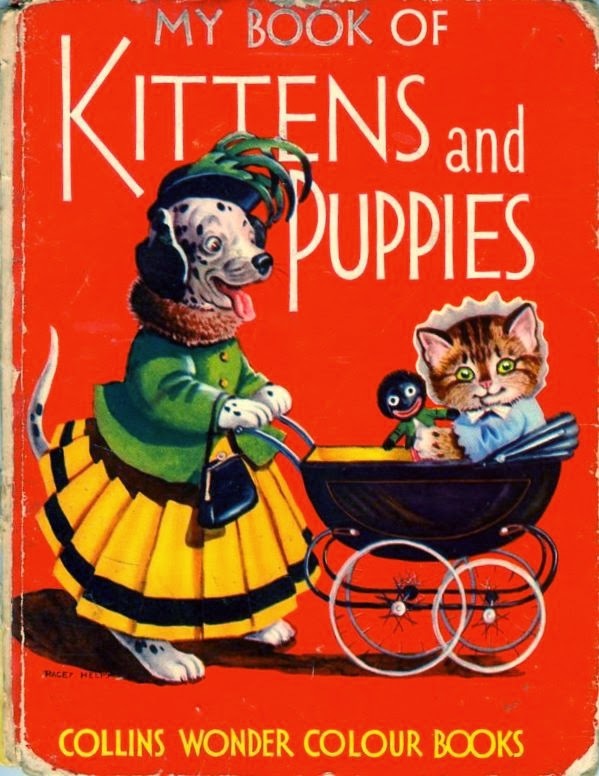 Then there’s My Book of Kittens and Puppies that even my mother disliked. Well, despite another dubious cover, I thought this book from my grandma was wonderful. Where else would I see things like cute dogs and cats getting married? Great! Yikes, I've just realised I'm disinterested in books that include train engines, yet I want to keep girly books about parties, animals in cute clothes, and a naughty little chick who drives her mummy to distraction (Mother Hen & Mary), but what the chick really wants is to grow into a big hen like Mummy and lay eggs. Sigh. It sounds like I was a real girly girl, but I also loved dinosaurs, playing with my toy garage and cars, and was so excited when my dad let me use an air gun. However, the girl/boy debate is not the aim of this blog. So what’s the point of this blog, apart from being a blast from the past? I suppose it’s a plea to not throw out your children’s old picture books without asking them what they’d like to keep (and then listening to them!). I believe picture books are an important part of childhood. Some images stay in the memory forever and stories can have a strong emotional resonance. When I was five I was given British Fairy Tales (Amabel Williams-Ellis) and I've never forgotten the magical dancing beneath the hill (especially when I visited Glastonbury Tor, twenty years later!). Unfortunately though, some books evoke slightly sadder memories. My heart would break for the lonely donkey in Little Grey Donkey (Alice Lunt/Tibor Gergely). 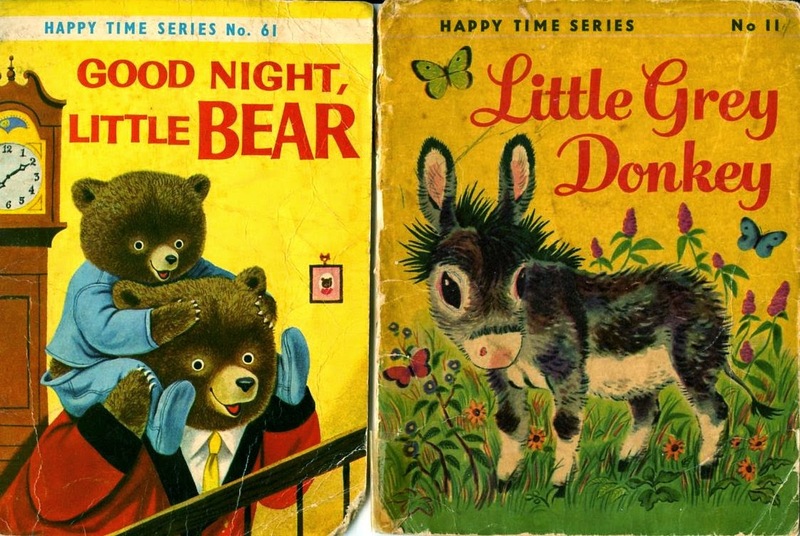 Whilst I enjoyed Little Bear playing with Father Bear in Good Night Little Bear (Patsy Scarry/Richard Scarry), but I always felt sad that my mummy didn't get on with my daddy as well as Father Bear and Mother Bear. So should I throw out these books and forget? I don’t know. 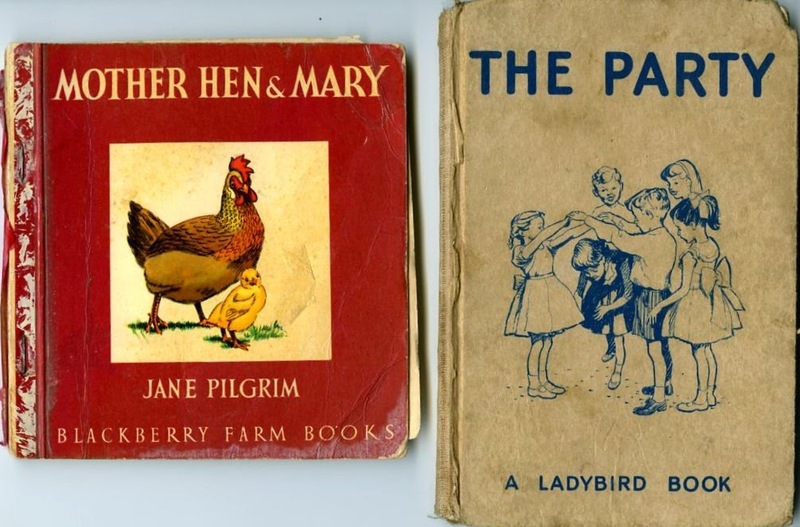 I often hear of adults buying new editions of old books because their parents have thrown away a childhood book that meant a lot to them, but the parents didn't know. Sadly, it’s never the same as the original. 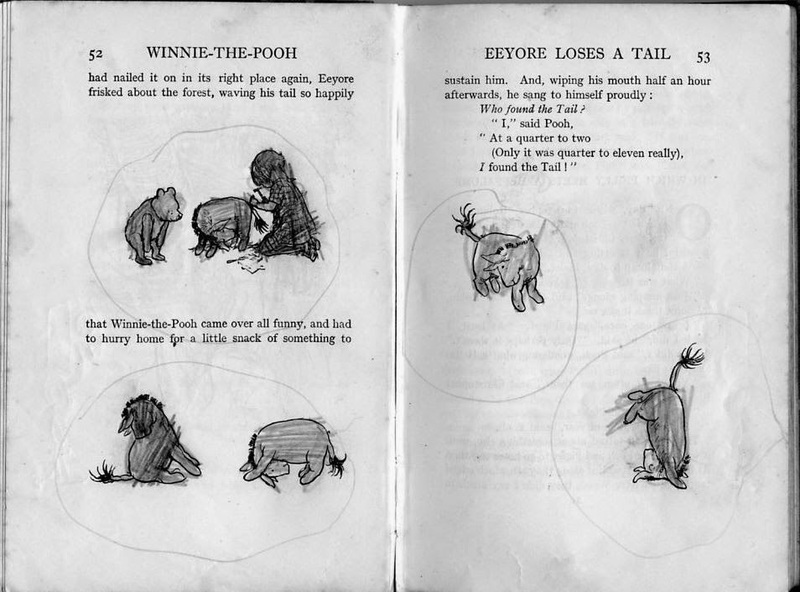 I smile when I see my mother's colouring in of her Winnie the Pooh book. A book may be torn and covered in scribbles, or may be of debatable literary worth, but who cares about this if it also cradles important memories? Or am I just a hoarder? What do you think? I think you should keep them all! I agree - keep them all! Why throw any out? Actually, I still read the picture books to my girls (18 and 22). And now to the grandchild. Good job none was thrown away! Lucky you, Anne, having your grandchild, and I'm amazed your girls still listen to pbs. 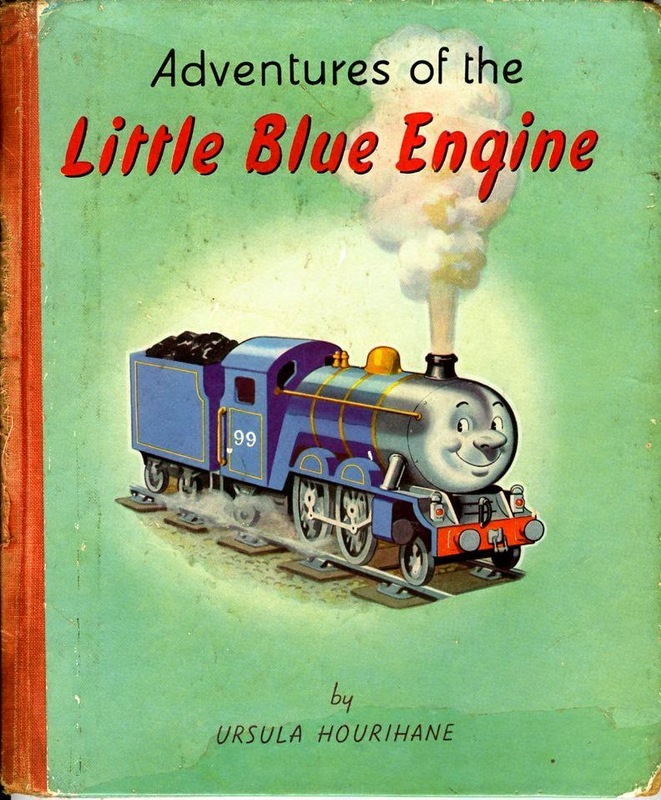 Ha ha, The Little Blue Engine is soporific and would send everyone to sleep, though the illustrations in The Teddy Bear Picture Book would be likely to bring nightmares. But you're right, I doubt I'll throw them out (ie give them away). To be honest, my blog wasn't very well written. I was trying to make the point that parents shouldn't just throw away picture books when their children grow older. 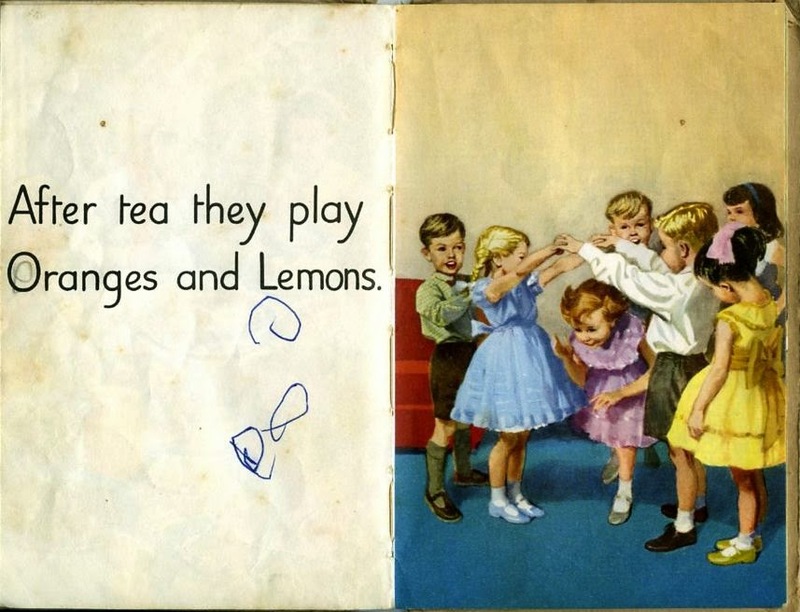 Unknown to a parent, a tatty and unassuming book can be filled with childhood memories. Absolutely, Paeony - the more tatty they are, they more they have been loved and deserve treasuring. Keep the train books, Paeony! You never know what your little relatives will find fascinating (trains, perhaps). A friend of mine celebrates a big birthday tomorrow and I'm going to give her a Noddy book : ) And I'd like to invite you and other picture book denners to come to nearby Glastonbury Tor for a picnic and a dance under the hill any time you like! 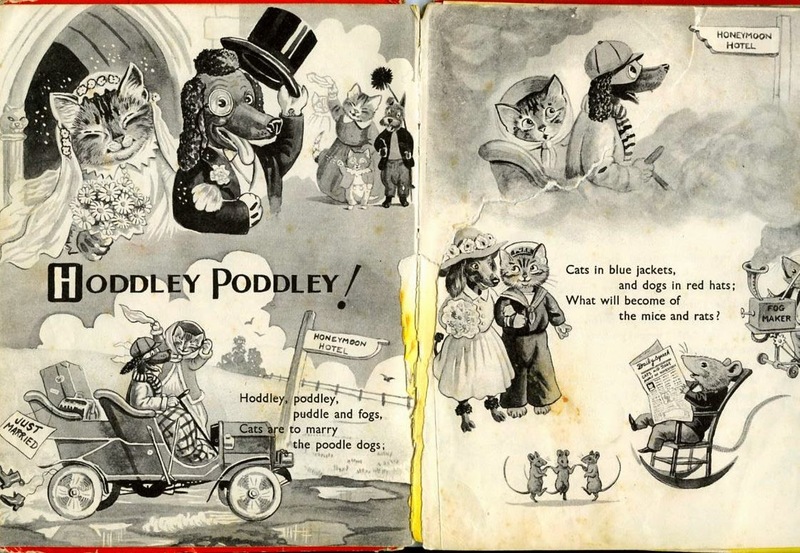 PS: I'd forgotten just how much animals were dressed up in books when I was young. Bonnets, skirts, waistcoats - the lot! Oh, they're too boring to read, Moira! And Noddy?! I have a Big Ears egg cup I use every Easter (the only day I'll eat icky boiled eggs). Yes, yes please, I didn't realise you were near Glastonbury - do strange things happen at night? Somehow my books were given to my nieces who were only a few years older than me. Of course they disappeared. Now I find myself haunting 2nd hand bookstands for old copies of my 'treasured' books.Keep them. Even if you don't want them, some museum might one day. But don't expect present day children to love them. They find the illustration strange! What a shame you don't have the originals, Dianne. Have you ever found any replacements at secondhand book stalls? Sadly, none of my old picture books are of good enough condition for museums, unlike my many beautiful editions of Victorian and Edwardian anthologies of fairytales, but I want them because I adore the illustrations and most have family dedications inside (that's something we don't do much nowadays, and perhaps we should because it's lovely to see a what would be my Great Grandmother wishing my Grandmother a happy birthday, etc. Frances, of course. But Nicholas Bunny? NB became my son's best friend when he was little, and was a family legend. Who wrote it? 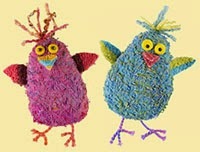 And Guri and Gura? Anyone remember that one? And who wrote: 'This was a very funny day' (first sentence and wonderful illustrations). I adore looking up old favourites, Enid. I hadn't heard of the Japanese Guri and Gura until I looked it up on Amazon. And is Nicholas Bunny the 'I am a Bunny' book? Adore the illustrations I saw from the 'look inside' option. I am ALL for keeping picture books! My loft treasures (as I call them) have brought me so much joy as an adult and it makes it extra special when I get to share them with my sons. My old Postman Pat books and my Allan Ahlberg ones have been particular favourites :) Thanks for writing such a lovely post! Thanks :-) I've been enjoying looking through your pb review blog. Keep them all. Definitely! I've kept some of my childhood books but sadly none of the picture books. I've got my original copies of Stig of the Dump, Enid Blyton's Nature Lovers series, and, I think, four sets of the Narnia books. I really wish I'd kept the wonderful Mary Plain books though. Who knew they'd all go out of print? I have kept some of my daughter's picture books, and - though she's 18 now - we still get them out and read them on occasion! Sue, I think it's lovely you still share your daughter's picture books. By the way, my hoarder instincts have overridden my spring cleaning instincts! 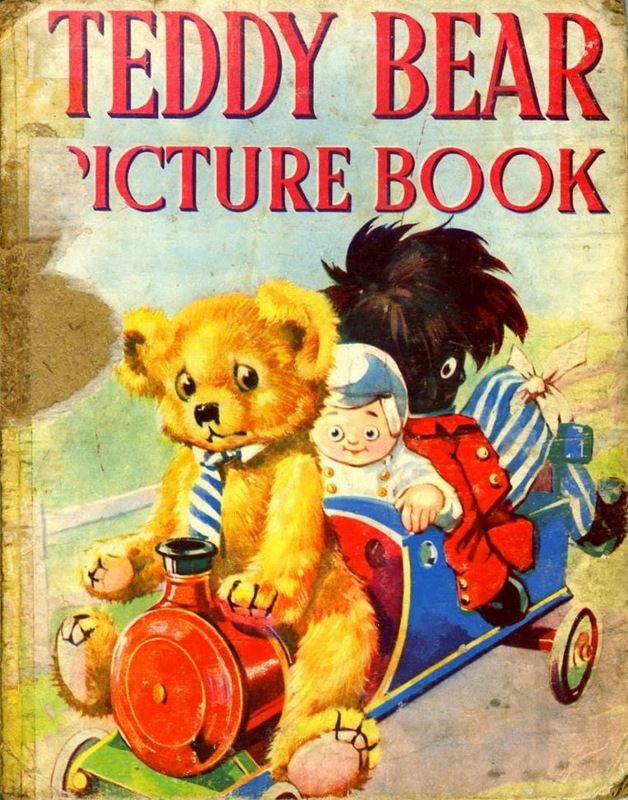 I've just looked up Mary Plain - adore the cover illustrations of the bear. Hi Pam, I was remiss in not explaining that by 'throwing out' I meant giving the books away (eg to a charity shop). I've explained that in a blog comment, but it's not in the actual blog. I'd never throw a book in a bin, and because I wouldn't it therefore didn't cross my mind that I'd be taken literally. Sorry! You're very lucky to still have your books Paeony, I only have very vague recollections of a couple of mine. My dad (bless him) is a wonderful man but until recent times an utterly ruthless tidy-upper. All gone, every last bit of my childhood, there is nothing to report. Hello, 'Donkey Paradise'!! I'm so sorry - I accidentally deleted your comment when tidying up the comments section. Yes, 'Little Grey Donkey' is still on my shelf and I wouldn't really get rid of it - too many memories. I hoard books I will probably never look at again. It's like a favourite jumper you think you'll never stop wearing and then five years later you realised you stopped and more favourite jumpers have come and gone. I manage to throw a few picture books away, but I am not sure why. Perhaps they no longer resonate?